Students receive instruction and training covering a broad range of techniques and subjects, including biodiversity, ecology, ecophysiology, systematics and environmental studies. Our interest covers the full diversity of marine and freshwater life, from microscopic algae to marine ﬁsh and mammals. We nurture marine biologists with knowledge and skills who can be successful on a global scale. 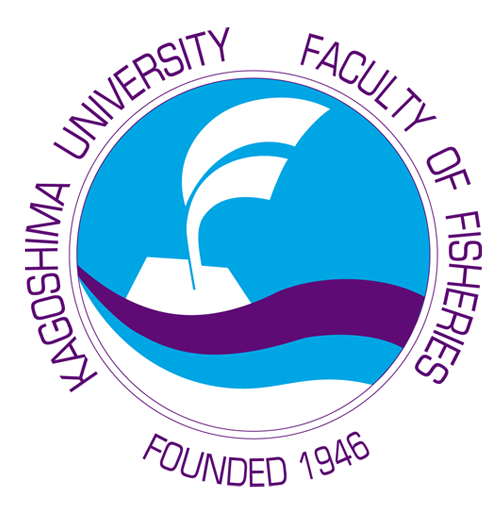 The students joining our group study the biological and technological aspects of ﬁsheries resource management and advanced aquaculture technology through comprehensive teaching and training at the undergraduate level. Our goal is to foster students to have a broad range of knowledge on ﬁsheries and aquaculture so they can contribute to the ﬁeld of ﬁsheries resource management, ﬁsheries technology, aquaculture technology, and sustainable development of ﬁsheries industries through teaching and research. We mainly provide education on the effective and safe utilization of marine resources as food and biomass, and on the biochemical properties of ﬁshery products and their biologically active substances. Students are expected to gain special knowledge and techniques in the ﬁeld of fisheries food sciences and resource utilization sciences, and to play an active part in the industrial world related with food, chemistry and pharmaceutics. The mission of our group is to foster students who have strong interests, responsibility and enough knowledge about seafood marketing and ﬁsheries industry management. We want to develop human resources in the ﬁeld of food business (ex. international trading companies, food processing companies, distributers and retailers) and ﬁsheries administration (ex. national or local government offices, ﬁsheries cooperative associations and ﬁsheries companies). Because of conservation of biodiversity and steady supply of seafood as our food, the strict conservations and managements in aquatic environment in fresh and sea water areas have been required in the world. We especially train students with the holistic knowledges for red tides, eutrophication, environmental pollution by chemicals (negative impacts), environmental conservation, and environmental remediation and aim to raise as their researchers and experts, who will active all over the world. This Special Course intends to educate students who can participate in the globalizing of the industrial society and contribute to the international community with a focus on Southeast Asia, the South Pacific and Africa. Students will acquire expertise in the field of sustainable production and the rational use of food resources while enriching their world view and ethical sense. The faculties of Agriculture and Fisheries collaborated and established this course, which consists of the agriculture-based sub-course and the fisheries-based sub-course, where students can study both agriculture and fisheries sciences.